Do you want to learn how to crochet? Here are my next scheduled crochet classes for beginners. Follow the links (which will take you to the Ammonite Yarns website) to book a place (you can pay a small deposit or the full fee). Feel free to get in touch via the contact form if you have any queries. Suitable if you are a complete beginner who has never even picked up a crochet hook! If you’d love to learn how to crochet, join me on this 3-week course, suitable for complete beginners. 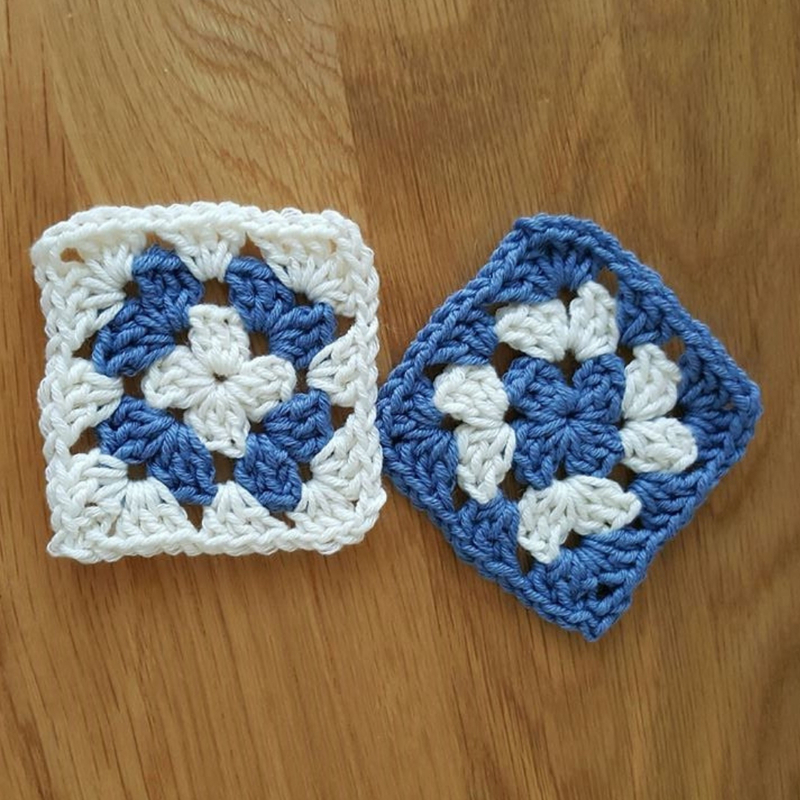 You will learn basic techniques and stitches, getting to know how NOT to lose or gain stitches when working in rows, then building on your new skills to make a granny square! You will also learn how to read crochet charts. Numbers are limited to only 5 places per course in order to give each student the best tuition possible, so booking is essential! Yarns and hooks are provided for the first session only, where advice is given on what to buy. Suitable if you attended the complete beginner’s course, but you can also join us if you know how to crochet simple things (working in straight rows, making granny squares…) but would like to expand your knowledge. In this course, we learn about circles, chevron patterns, fancy stitches, as well as how to make exciting flowers, leaves and birds! Book early as most spaces get snapped up by students who attended the course for complete beginners. Please bring your own yarn and hooks. During session 1, “All about doubles”, discover the basics of crochet, focusing on a simple and versatile stitch: the double crochet. 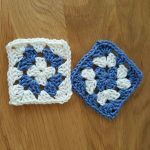 In session 2, “All about trebles”, will expand your skills with another very common stitch: the treble and master the (in)famous granny square! You don’t have to attend session 1 to join session 2. Both sessions are aimed at complete beginners and are slow-paced, with lots of repetition. Book early to avoid disappointment! Yarns and hooks are provided for the first session you attend only. Bring a pen and paper if you’d like to take notes. £35 per person per session (includes refreshments, yarn and a hook) – £10 discount (total price of £60) if booking both sessions at the same time and paying in full! If the scheduled sessions do not suit you, we can always have a chat about a customised class to get you started towards your most pressing crochet goal! Would you like crochet lessons tailored to your needs? Look no further! Whether you are a complete beginner, you need a bit of a refresher, or you would like to learn a new technique or to master a specific pattern, I can help! Use the contact form to get in touch and we can arrange crochet lessons tailored to your needs. Gaelle's Crochet for Beginners six week course was excellent. At the end of week one, I made a patterned scarf! Gaelle is very knowledgable, extremely affable and flexes her approach to meet varying standards and speeds of learning. Her handouts are excellent and I have a skill for life. I can't wait to go to the next course! Excellent course run by Gaëlle. Did beginners and followed it with the intermediate course really enjoyed both and found the handouts very helpful and informative. Really recommend the courses. Gaëlle is a fantastic crochet tutor! I’d wanted to learn for years and had tried books and video tutorials to no avail. After the beginner course of 3 sessions, I was able to read a simple pattern and started a granny square blanket. Gaëlle is a patient and encouraging tutor and she provided clear and relevant handouts to support the lessons. I would not hesitate to recommend the course. Check back regularly for new dates. You can also sign up for regular crochet news to be the first in the know!